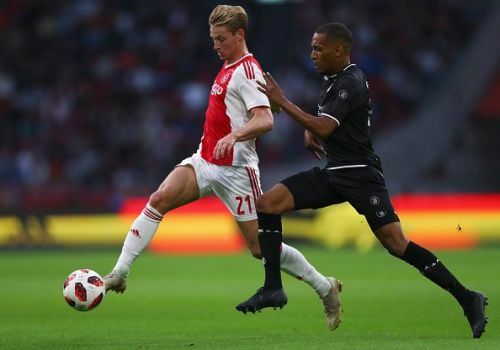 Barcelona have been linked with Ajax midfield starlet Frenkie de Jong for quite some time now. According to various reports in Spanish media, the youngster has now agreed a deal to join the Catalan club in the 2019 summer transfer window for a reported fee of €75m (£67.5m). The 21-year-old Dutch international is one of the most exciting prospects across world football right now and top sides including Manchester City and Paris Saint-Germain are vying for his signature. His playing profile suits that of Barcelona, having emerged through Ajax's highly-esteemed youth academy. However, it's no secret that Barca have an abundance of exciting young midfielders in their ranks - including Carles Alena, Denis Suarez, Monchu, Oriol Busquets and summer acquisition Arthur. In addition to this, it seems likely that Messi might transform himself into a midfielder to extend his career. At present, it appears virtually impossible to dislodge veteran midfielders like Ivan Rakitic and Sergio Busquets from the starting line-up in the near future. Meanwhile, the other La Masia midfielders, Riqui Puig and Oriol Busquets, have impressed whenever they have been called up. During the International Champions Cup 2018, Puig delivered consistently bright performances, which saw AC Milan legend Gennaro Gattuso speak highly of the youngster, comparing his potential to the legendary Andres Iniesta. Alena meanwhile has been earmarked for success in recent seasons and was finally promoted into the senior side on a permanent basis this term. What next for La Masia's patient midfielders? It's no secret though that barring Arthur, most of these midfielders have struggled for regular minutes this season. In such circumstances, the expensive arrival of De Jong further complicates the situation for the La Masia products. Since Pep Guardiola's departure, plenty of promising youngsters have failed to make the grade and establish a proper first-team breakthrough. The only exception has been Sergi Roberto, utilised for his versatility and dependability. 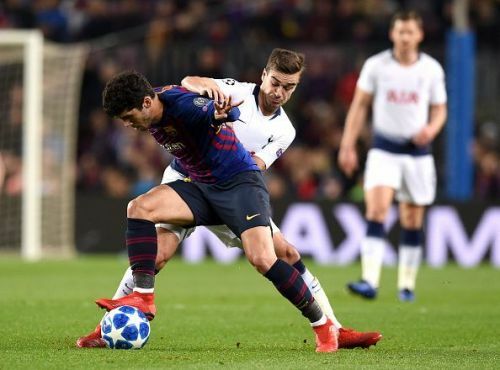 Keeping faith in La Masia has always been a trademark of Barcelona, and mistrusting them now would only serve to dampen these youngsters' spirits. It's essential they feel important, given their potential to shape the club's long-term success.